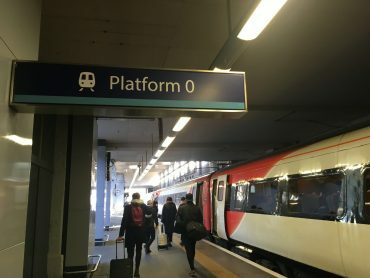 The maths began before I’d even left London. My train from Kings Cross departed from Platform 0 – confirmation for anyone who may doubt that ‘0’ is in fact a real number! My workshop provided primary teachers with all the tools they needed to deliver their own Festival of Triangles. 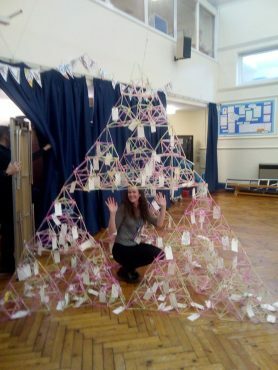 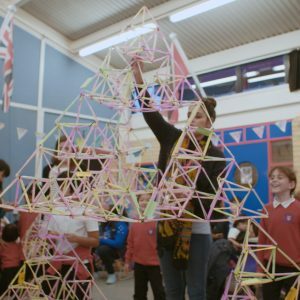 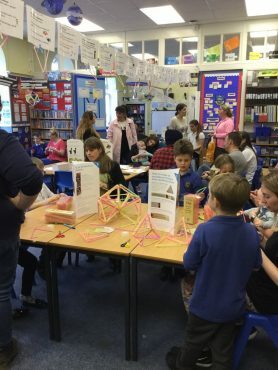 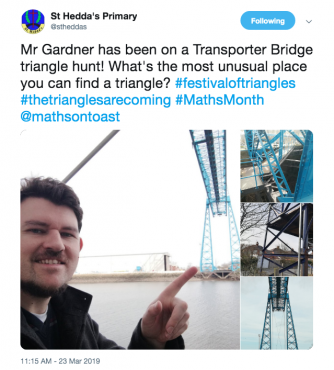 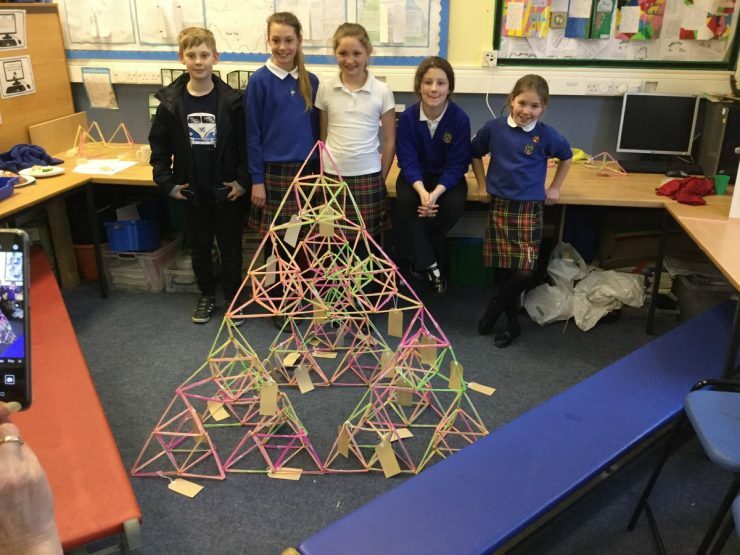 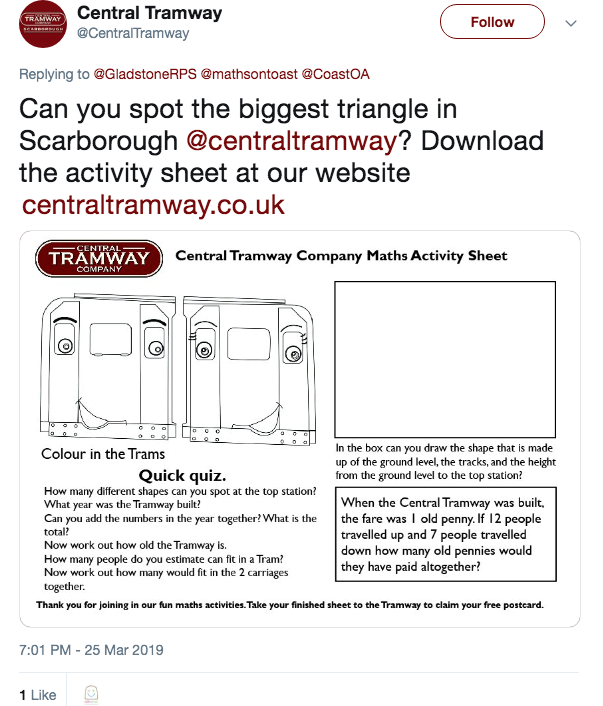 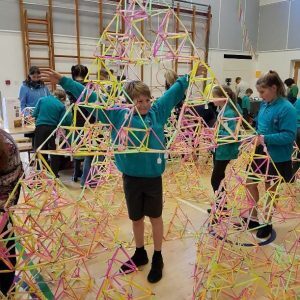 We explored the challenges facing schools in terms of parental engagement with maths: Festival of Triangles is a model activity to broaden and deepen positive family attitudes to mathematics through a community maths week, culminating in a big family event. 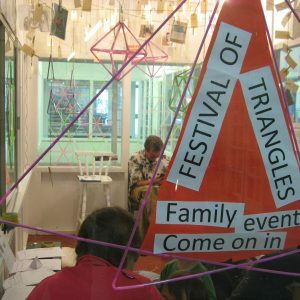 As preparations drew closer, triangles were popping up everywhere. 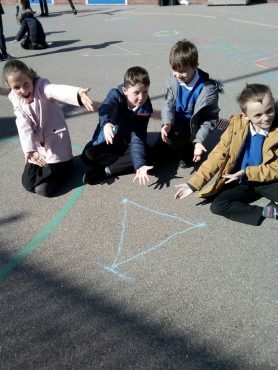 It was wonderful to see lots of engagement on social media showing how maths is all around us in our everyday lives. 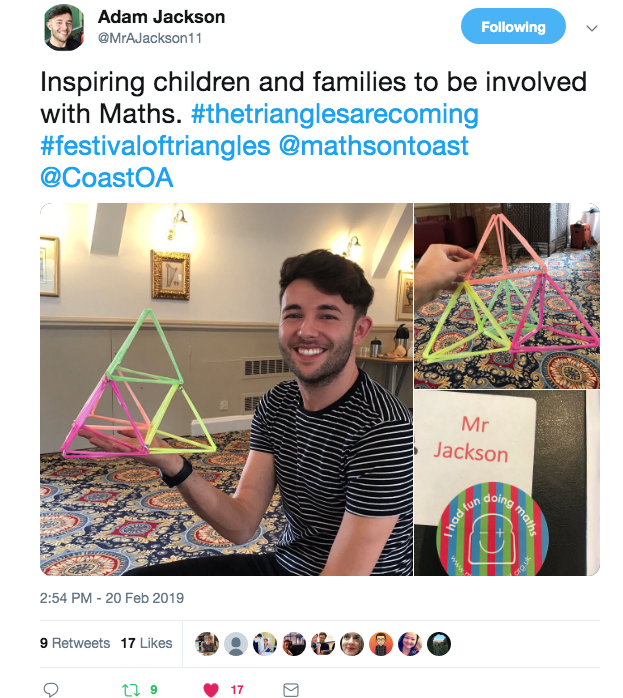 And we hope that, inspired by Maths Month, communities in the area will continue to engage in creative maths at school, at home and when out and about. Remember, maths is everywhere and for everyone!